I have a few more cards to share with you from the Dare to Get Dirty Challenges. 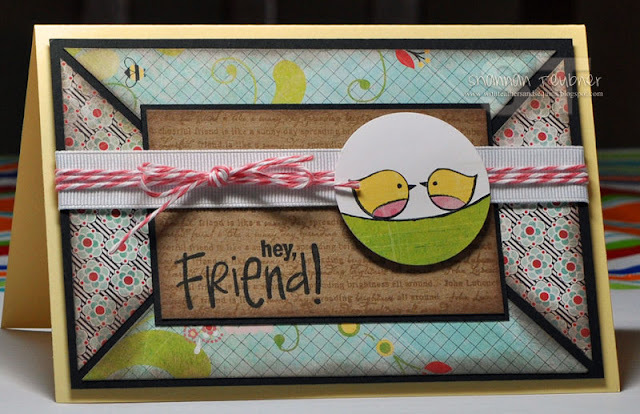 This one features the new Strawberry Twine, Text Objects background stamp from Verve, and a cute little stamp set and papers from Basic Grey. 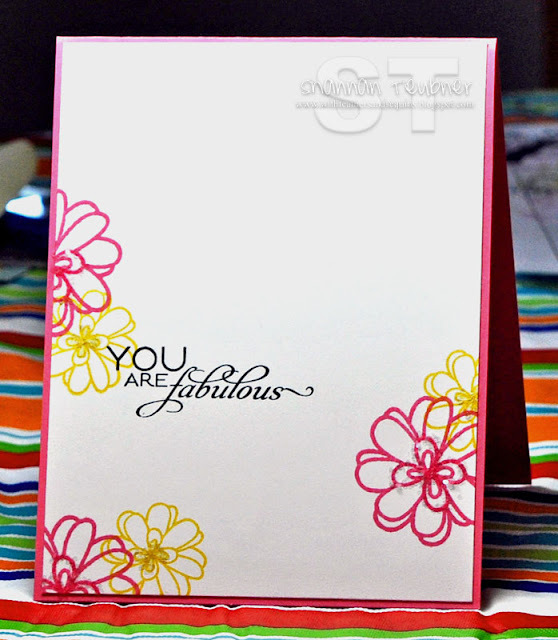 I used two of the flowers from Abundant Blessings in bright colors, then stamped the sentiment from Fabulous You in black Versafine ink. Then I added some coarse crystal glitter to the flower centers. 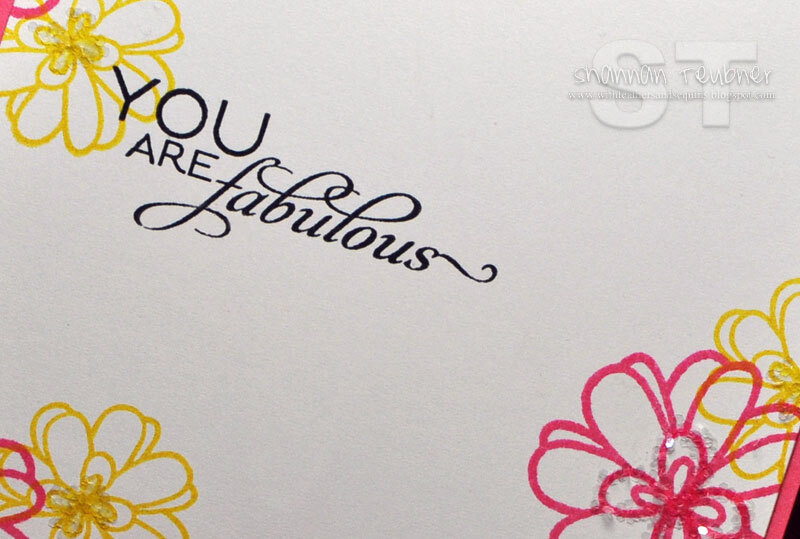 Well, that's it for today...thanks so much for stopping by! I'll have more for you soon, I hope you have a great weekend! Gorgeous! !I love the layout on the birdie card esp!! I love this one! Very elegant but the splash of colors add something more! !